All I can really say is that I regret not appreciating the unique voice of Carrie Fisher until she was gone. Outside of Princess Leia, I really didn't know a whole lot about her until articles started popping up on the internet after her unexpected death. That's when I allowed myself to get sucked in to her HBO special and started binge watching movies I hadn't seen in ages like When Harry Met Sally and The Burbs. 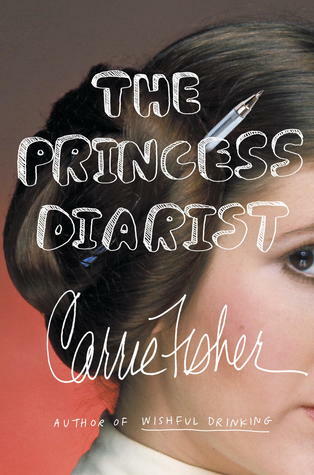 The one take away from The Princess Diarist, besides the fact that her kissing of Han Solo went beyond the silver screen, is that she was always a writer, almost a poet. The blurbs from her diary are heartbreaking and beautiful. She really does have a way with words, and despite the pain she felt, she never lost of her sense of humor. This should only really be listened to so that you can appreciate her unique voice in her unique voice. And when you're done listening, if you're not a little more in love with her than you were before, there might be something wrong with you.